Finding the right pair of shoes can be a real headache sometimes. If you are stressing yourself out trying to make the right purchasing decisions with your footwear, this guide is for you. These are the most important tips for anyone buying a new pair of shoes. This might sound like very strange advice, but our feet actually expand throughout the course of the day. The difference isn’t huge, but it can be significant when you are wearing a shoe in the morning that is a very tight fit. Under such circumstances, it is possible that the very small change involved could render an otherwise perfectly fine variety of shoe utterly useless. When it comes to shoes, you don’t want to take any chances. Many retailers operate fairly stringent returns policies when it comes to shoes. If you are planning on buying your shoes online (which can be an excellent way of knocking down the price some), you should still aim to try a pair on physically in a store. If you want to get the best deal possible, use a website like Authorityshoe.com to work out what kind of shoes you want, find a suitable pair in store, and then order them online. Even a pair of shoes which seem perfect on paper might not be the same when they are actually on your feet. The only way to know how they will feel when you are wearing them is to, well, wear them. When you try the shoes on, make sure that you stand in them and press down, or have someone else press down on the tip of the shoe with their thumb. If they are a good fit, you should find that you have around a half-inch of space between the tip of the big toe and the end of the shoe. Following on from the above advice, you shouldn’t base your purchasing decisions on the measurements of the shoe alone. Instead, you need to actually put your foot in it and walk around a bit. This is the only way you can tell how the shoe actually feels when it is on your foot. Even if everything is telling you that the shoe should be perfect, if it doesn’t feel right, move on and try another pair. For many women, their shoes are an important fashion statement. The right pair of shoes can completely transform an outfit and can breathe life into an otherwise dull ensemble, or they can top off an elegant look with the perfect finishing touch. However, when you are buying shoes, you should consider their function as much as how fashionable they are. Work out exactly what you will be doing with these shoes, and where you will be wearing them. Both of these considerations will make a difference to what you require from your shoe. If you will be wearing these to formal events where you will be standing for a long time, for example, you need to find a pair that can balance an elegant look with a comfortable feel when worn for long stretches. 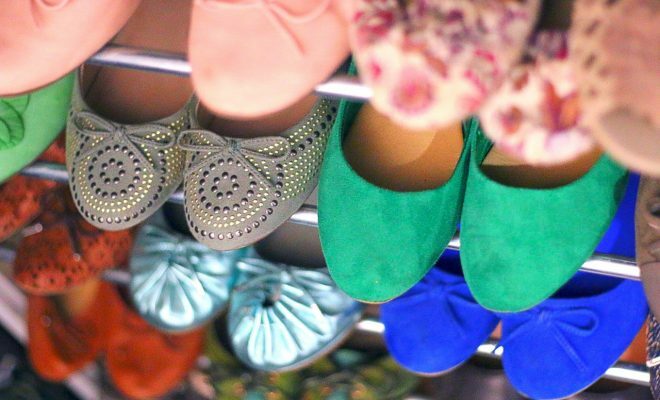 Choosing the right pair of shoes doesn’t have to be difficult. It can be daunting sometimes, especially when you feel like you don’t even know where to begin with your search, but with a little forethought and preparation, you should find it simple and painless.